Domino’s Pizza, one of the world leaders in pizza making and pizza delivery, is quite well-known for its various pizza discount coupons and deals that enable you to get your pizzas at reduced prizes. If you want great pizzas and still save your money, domino’s discount coupons and vouchers are ideal for you. The best pizza offers online can be found online on our website, but sometimes we also offer other specific deals in select stores and deals that come through contests and promotions. 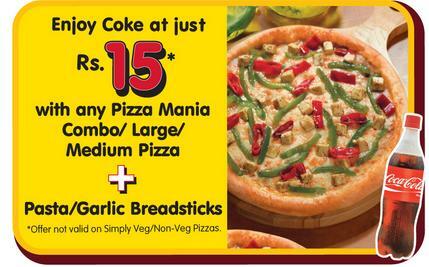 One of our biggest and most successful pizza offers is the Pizza Mania, where we offer pizzas for as low as Rs. 39/- If you are craving a pizza but don’t have much cash, this is heaven for you! These single pizzas are available only on Takeaway/Dine-in, but Pizza Mania combo deals can be availed for home delivery. Another great domino’s deal is the WOW Club. Log in our website and become a member of the ‘WOW’ Club to get access to exclusive Domino’s deals and offers. Just become a member and experience the phenomenon! 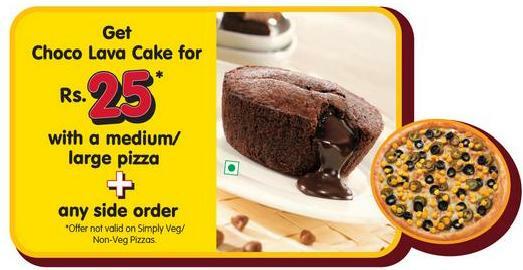 Get a Choco Lava Cake for Rs. 25 on buying a medium/large pizza and a side order. 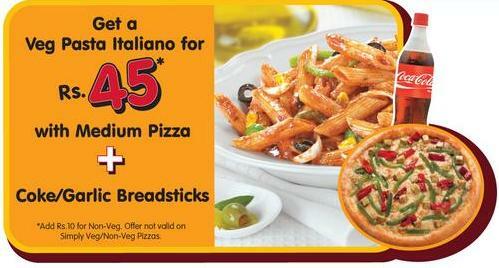 This pizza offer is now valid on Simply Veg/Non-veg pizzas. Enjoy a coke at just Rs. 15 on buying any Pizza Mania combo/Large/Medium pizza + Pasta/Garlic Breadsticks. Again, the pizza offer is not valid on simple veg/non-veg pizzas. 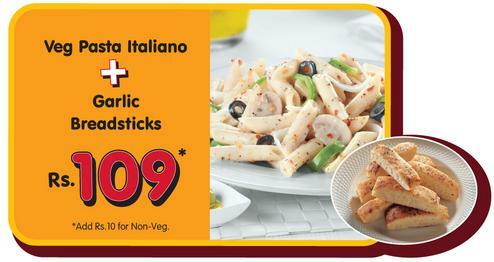 Get a Veg Pasta Italiano + Garlic breadsticks at just Rs. 109! Most of the Domino’s deals can be availed on online ordering and home delivery too, unless specifically mentioned otherwise. The best pizza offers and deals are available at Domino’s pizza India. This is our way of making your happiness double and more enjoyable. Don’t forget to check for our current deals and pizza offers before placing an order!